Star Citizen has been in development for what seems like decades (actually just since 2012), and every week brings a little bit of additional info about what the impossibly ambitions space sim will or won’t feature. For example, did you know that if you engage in a life of piracy, you won’t be able to hang on to the ships you steal? Have a look at all the best space games on PC. If you jack another player’s vessel, you will be able to fly it, play around with it, or sell it, but you won’t be able to keep it. Stolen ships will disappear when you log off, and the in-game insurance system will allow the original owners to replace their vessels with relative ease. The info first came to light back in November, but was lost in the shuffle as part of an hour-long Q&A video at the time. Some players – including plenty on Reddit – feel that this will greatly limit the viability of a piracy career in the final game, and adds to the advantage players paying real money for more impressive ships would likely have. 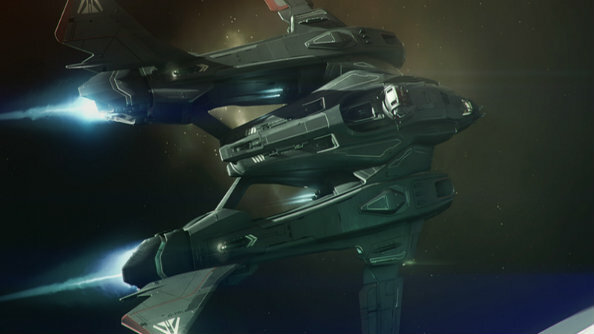 The bigger issue for CIG would be insurance fraud, since – if stolen ships persisted without other ways of discouraging the behaviour – you could let a friend “steal” your ship, claim insurance on it, and then you’d each have the ship in your hanger, essentially having duplicated it. But ultimately, the things pirates will be able to do in-game remains up in the air as Star Citizen continues development. An official FAQ hedges a bit by saying the final game “may” allow pirates to purchase fake ID codes for stolen ships.